This Luke III is hopefully going to be in my collection at some point. 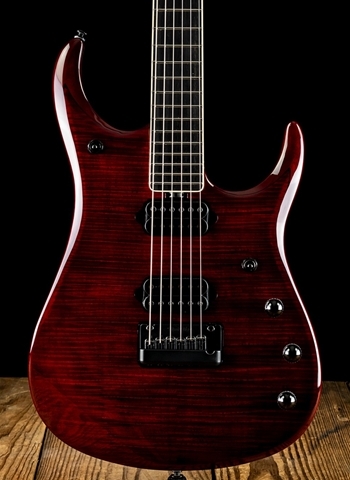 These guitars represent the best of signature guitars on the market today. 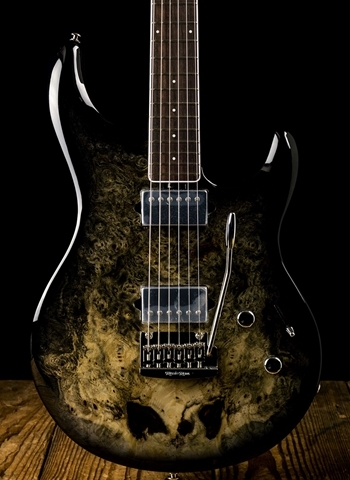 The alder body accompanied by an HSS pickup configuration brings the characteristics of a certain "S" style guitar that I almost need to have in an instrument. However, Music Man seems to do the best job at taking something and adding their own twist to it. I've been blown away by the clarity in these DiMarzio pickups. 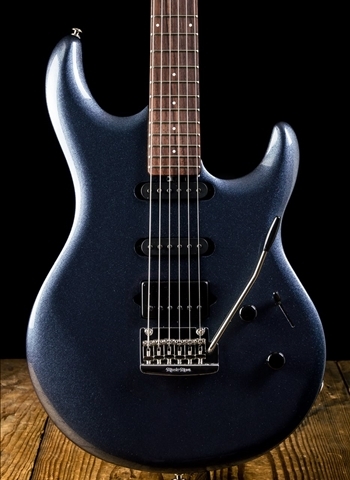 The transition humbucker is perfectly matched with these DiMarzio Custom single coil pickups. They have an incredibly detailed clean sound that has the exact delicacy and touch sensitivity that I crave in clean to lightly overdriven sounds. Of course I do not need to say that this guitar screams when you want it to. The push-in DB boost on the volume control not only helps take overdrive into sustain-heaven but can also fatten up the single coils and give you a fat and warm jazz sound. There is not a bad sound on this guitar. Ernie Ball makes their instruments with ergonomics fully in mind. I find myself not even thinking about how the guitar sits, what the neck feels like; my concentration is solely on the music that is being created. 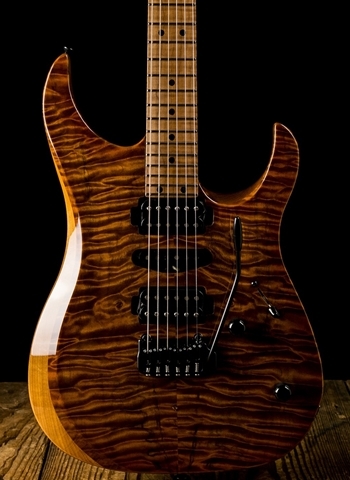 I HIGHLY recommend checking out these Luke model guitars by Ernie Ball Music Man.